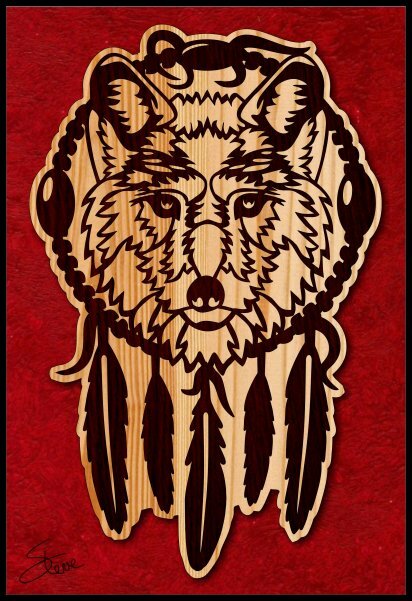 Wolf Dreamcatcher Scroll Saw Pattern. This wolf dreamcatcher is 14 inches tall. It will probably need the backer board for strength. In some Native American cultures, a dreamcatcher is a handmade willow hoop that has a woven web in the center. They traditionally had sacred items such as feathers and beads. The woven web symbolized the protection of the spider web. They were hung over babies cradles as a protective charm. 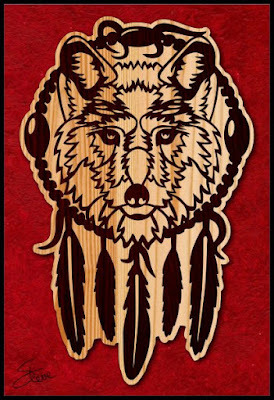 This wolf dreamcatcher would not be typical of the Native American craftwork. It is just a graphic appreciation of the Native American culture and their respect for nature. 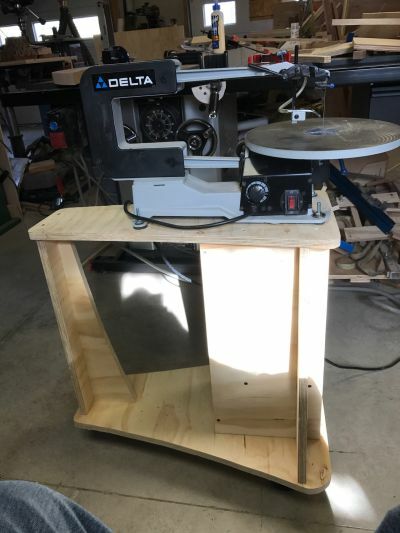 Need a stand for the Delta 40-694? With the current markdown in the price of the Delta 40-694 several of you have ordered one. 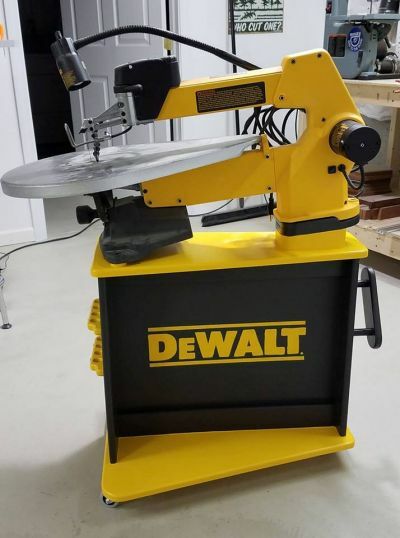 It is still marked down to $314.63 on Amazon at the time of this post. 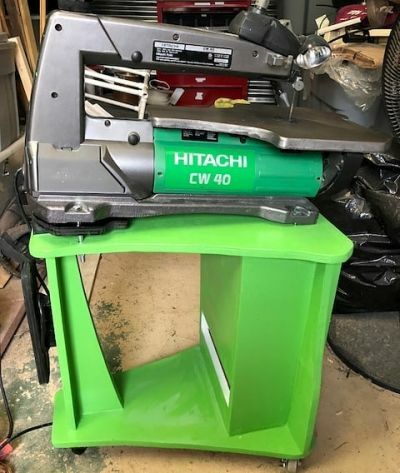 This is a good buy for a nice saw. The only negative with this great price is that it does not come with a stand. You can order the stand and saw on Amazon but the price is ridiculous. If you add the stand and light the price goes to nearly $700. Crazy Amazon pricing. I have received a few emails asking me to design a stand for this saw. 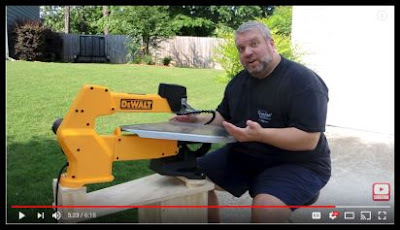 I was just about to do that when I remembered a set of plans for the DeWalt DW-788 scroll saw by Steve Carmichael. My friend Steve Carmichael has a perfect solution. 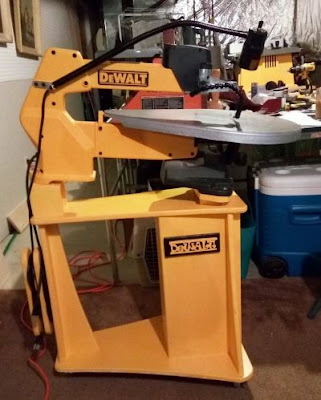 He developed a set of plans to make a stand for the DeWalt DW-788 scroll saw. I think they will work with the Delta 40-694 with very little if any modifications. He only charges $6 for the plans. Watch the video below and you will have all the information you need to decide if these plans are for you. 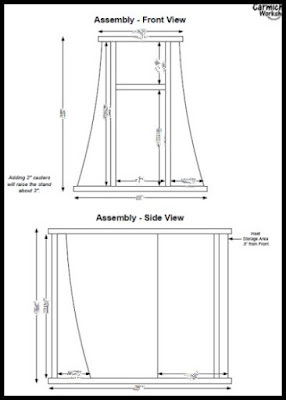 Order the Steve Carmichael Stand Plans $6. This video gives you all the details about the stand. Watch it and I think you will see that this is aa easy and nice build. 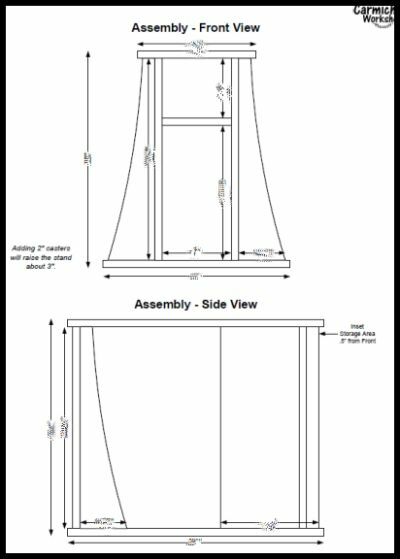 I ordered a set of the plans and they are very well done. 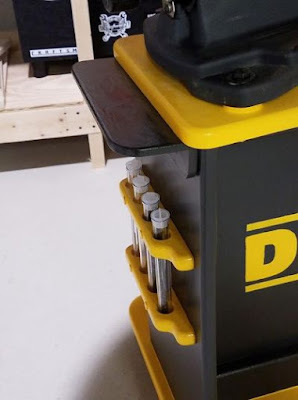 The templates can be printed full size. 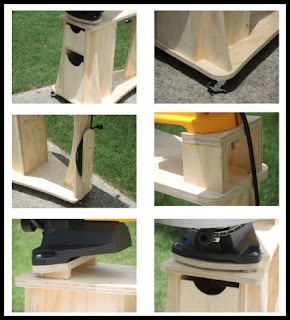 Just glue the plans to the plywood and cut. 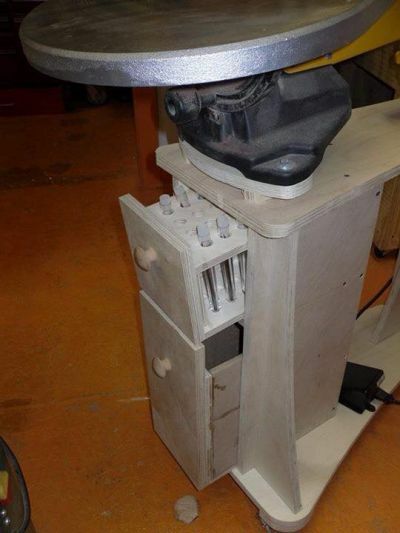 Steve uses his band saw to cut the pieces but you could easily use a handheld jigsaw. 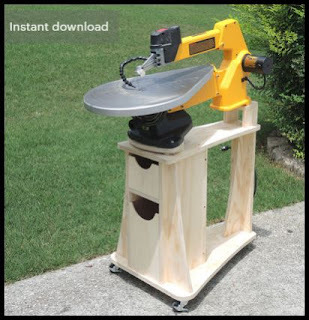 The plans can also be modified to change the height of the saw if you need something different. He talks about modifications in the video. Here is some example of this stand as made by Steve's customers. 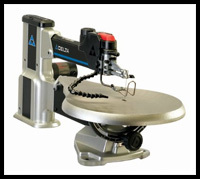 As you can see it can be customized quite easily for different saws and accessories. And you have to love some of the paint jobs.